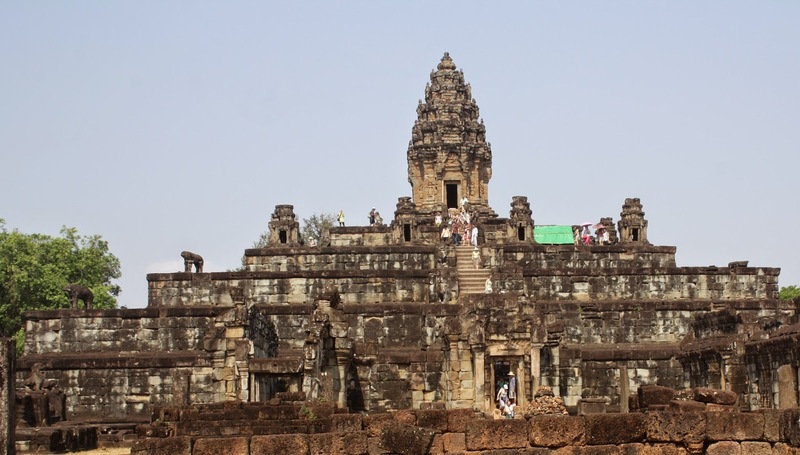 Before the ninth century, what we know today as Cambodia was just a collection of city states, each contained within its own fortress, and each fighting with all the other city states. It took a king named Jayavarman II to unite them all into the Khmer kingdom. Jayavarman II had his capital at Hariharalaya on the shores of Lake Tonle Sap. Three Hariharalaya temples still survive, and today we know them as the Roluos group of temples. 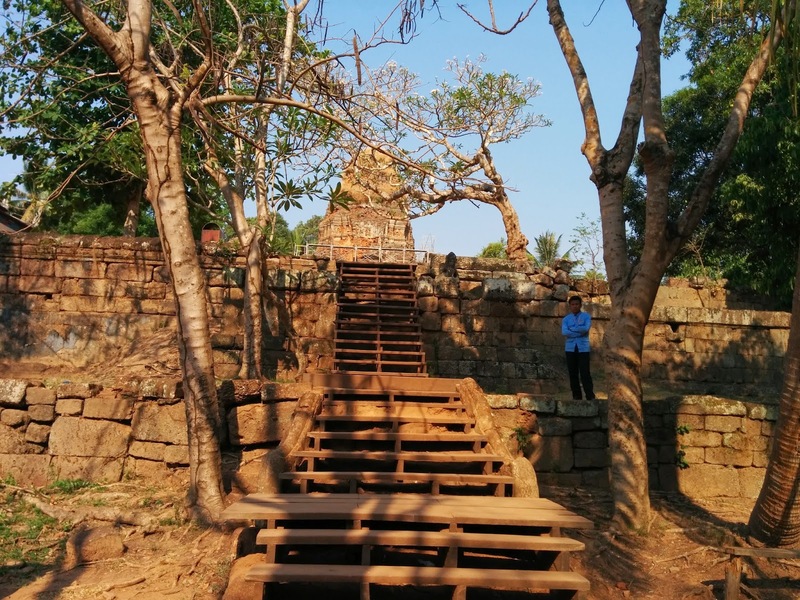 Built in 880 AD by Indravarman I, Preah Ko is a set of six shrines on an elevated sandstone platform. The shrines are in two rows of three, with the ones at the front dedicated to the protecting deities of three Khmer kings and the ones at the back dedicated to those of their queens. The platform is surrounded by two enclosures, both now broken down. The forest, which must have claimed the temple over the centuries, has been beaten back to form another green enclosure. My favourite Ruolos temple for its sheer majesty, the Bakong temple is in the form of a large five-tiered pyramid topped by a central shrine. Built by Indravarman I in 881 AD as his State Temple, Bakong's grounds are littered with the remains of shrines and libraries, and its enclosures are surrounded by a moat. It was originally built of laterite, but was later clad in sandstone. Bakong is considered the first of the temple-mountains - a form that would later attain its zenith in Angkor Wat. Built a decade after Preah Ko and Bakong, Lolei is a tiny temple - just four shrines clustered together in a square. Apparently, there were supposed to be two more, but they were never built. Today, a more modern monastery functions to the side of the temple. Though Lolei was originally built on an island in the middle of a reservoir, mango trees and papaya trees now thrive on its grounds.